MyAllMovies is a database program for making a list of your movies: DVD's, VHS tapes, Laserdiscs, etc... 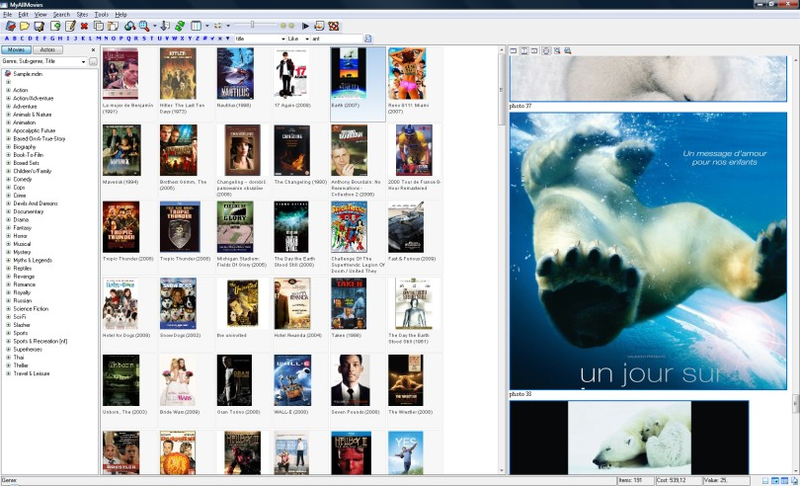 Adding movies to the list is quick and easy because all movie details are downloaded from the internet. The result can be sorted, searched, grouped, exported to HTML and printed. It's fast and easy to use.